If you don't fancy cooking on Christmas Day, let us take the strain for you! Tickets are £35 per person. 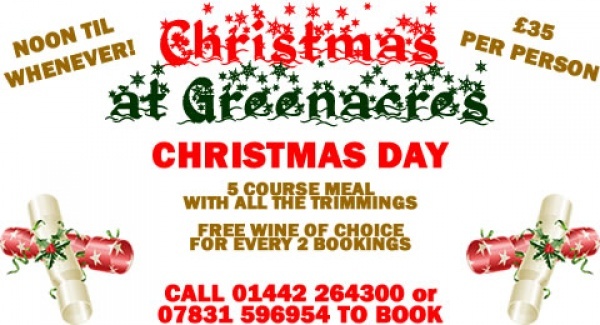 Please contact Greenacres on 01442 264300 or 07831 596954.